"Pa, what is Inshallah?" Josh asked. "Insha'allah (إن شاء الله‎)," explained Rosh, "is Arabic for 'God willing' or 'If Allah wills'." "Muslims believe that everything is Maktub, which means it is written or destined, and so whatever it is one wishes to do, will only occur if it is within God's plan." "It can also mean that the speaker believes that the task he embarks upon is what God wills, rather than the speaker's desire to succeed in that task." “What begins in blindness is usually doomed to a life in darkness. Yet, Light exists." “Meanwhile, life still remains to be lived, and one must still choose how one will live their life. Not everyone is endowed with Knowledge, yet they can lead happy lives. Not everyone has Faith, yet they too are not denied happiness in life." "I am a fan of Knowledge and a student of life, yet I survive as a believer. My Faith guides me. Faith that the sun will rise tomorrow. Faith that my son will look after me when I grow old. Faith that debtors will repay me. Faith that justice will prevail." "Faith brings hope. Hope is the elixir of life. It is the foundation of commerce. Faith is useful. Humans need Faith. Especially because Knowledge is a scarce endowment and has to be earned." Josh squirmed under the sheets. He wasn’t getting any of this. "When it did, he cautiously entered within, alongwith his animals. As soon as they were safely in, the rock face closed off by itself, but Ali Baba was not dismayed. He had memorized the magic words that opened and shut it." "He was now in a large cavern. Rays of light found their way into this secret vault through little holes in its roof. It was full of all kinds of treasures that must have taken years of effort to build up. Rich silks, garments and carpets. Sackfulls of gold and silver ware. Bagfulls of gold asharfis. Everywhere you saw." "Pa, what are asharfis?" Josh asked. "They were little gold coins," replied Rosh, "also called Ashrafi or Mohur in Urdu. These Persian gold coins weighed about 53 grains or just under half the weight of a Sovereign." "And what's a Sovereign?" he asked again. "A Sovereign is a 7.3 gm 22 Carat Gold coin from United Kingdom," Rosh answered, "with a nominal value of one pound sterling or about NZD 2.50 today. Did you know that the Sovereign is still used as a bullion coin?" "Anyway, there was so much wealth in the cave, it boggled the mind. But fear ticked in Ali Baba's heart like a metronome. He loaded up his three asses with as many of the bags of gold asharfis as he could." "Then he commanded the portal open and quickly made his way out. There was still no one about." "Fearful and excited, he covered up his plunder with sticks and wood and started leading his donkeys home. He hadn't gone far, when to his shock and horror, he realized that he had left the rock face open. It hadn't closed automatically when he had left it." "Basta kon Simsim," he ran back and commanded the rock face. The cave opening vanished. Breathing a sigh of relief, Ali Baba rushed home with his mules. Once home, he drove them into his yard, and bolted his outer door from within. Carefully, he removed the wood and carried a bag of gold in, to show it to his wife. Her heart almost jumped out of her mouth, when she saw so many gold asharfis. But she almost fainted when he told her how he had got them. Delighted with their good fortune and proud of his daring, the two love birds chattered excitedly as he repeated his adventure for the umpteenth time and took her out in the yard to see the other bags for herself. 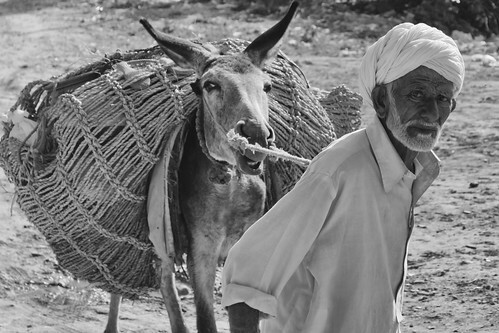 Together, they unloaded their precious load off the donkeys and brought it all in. She untied every bag to check its contents, pouring the asharfis out in a heap before her. The sight of this growing mound of shiny metal dazzled her. Its yellow sheen was stupefying. She had never seen this much money in her life. She danced with joy. When she was finally tired, she sat down and began counting the gold, to determine how rich they were now. "Why does he want to bury it?" little Josh asked. "He should spend it quickly." "Don't be an Idiot!" Hosh interrupted him. "If he spends it too quickly, he'll be poor again. He should put it in a Bank locker." "There were no Banks or Bank lockers in Persia then," Rosh clarified. "Anyway, if people found out Ali Baba was suddenly so rich, they'd all want to know how. Such news has a way of getting around too quickly." "If any of the forty thieves found out how Alibaba suddenly got so rich, they'd come and kill him for stealing from them." "But Alibaba stole from thieves," Josh argued. "Stealing from thieves is not wrong!" "Stealing is always wrong," Hosh responded. "Even stealing from a thief!" "Then why did you say the other day that Robin Hood was a hero," retorted Josh. "You keep changing your mind."